One of the most wild and stunning national parks in the U.S. is here, in Sierra Valley, California, and goes by the name of Yosemite! Established in 1864, Yosemite National Park consists of 1,200 square miles of deep valleys, meadows, giant sequoias, and a vast natural wilderness area that encompasses 95% of the entire park. Your group will see granite faces, glaciers, mountains, lakes, rivers, and forests all within the tranquility of the High Sierra Valley. The Tuolumne and Merced Rivers, as well as 800 miles of hiking trails and 282 miles of scenic roadways await you here, not to mention the Yellowstone icon, Half Dome! 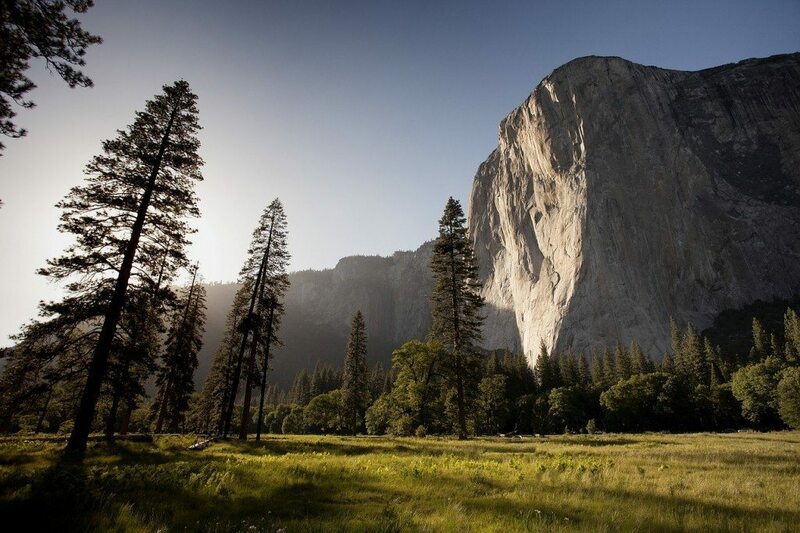 Yosemite first was home to seven different Native American tribes, but quickly grew into a tourism hot spot for California after the word of its beauty and fame spreading quicker through the nation than wildfire. Yosemite is also home to over 400 vertebrates, an area of extremely high biodiversity due to its striking elevation gradient and topography changes. Your group will see everything from oak woodlands, chaparral scrub, and lower montane to sub-alpine and alpine ecosystems. The park is a scientific lab of hydrology, geology, and glaciology, maybe most famously known for its many outstanding waterfalls. Your group must stop and visit Yosemite Falls, the tallest waterfall in North America at an impressive 2,425 feet above sea level! Be sure to check out the visitor center, information kiosks, gift shops, and lower valley eateries while you are here to get the full Yosemite National Park experience. Also be sure to wear walking shoes, bring a jacket, and back up batteries or film for your camera to be the most comfortable and prepared for your amazing outdoor adventure as you can! Half Dome - Half Dome is a true Yosemite icon, a 8,842 foot granite mountain that provides visitors with one of the most arduous hiking challenges, as well as one of the most worth-it breathtaking views, in the entire park. 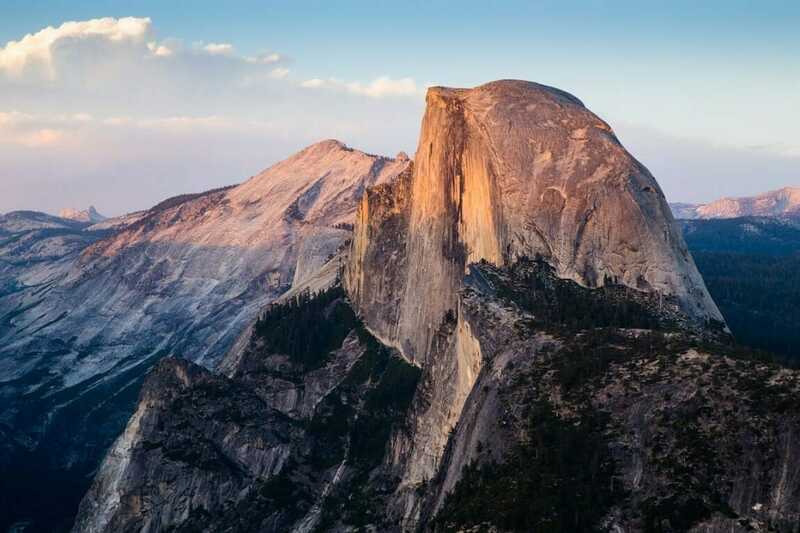 Half Dome was originally deemed unreachable as far as summits went, but since then thousands of visitors have reached the summit successfully, not without thousands of turn-arounds halfway through the challenge, however. The trek to the top is a 14-16 mile round trip, usually taking in-shape guests about 10 hours. 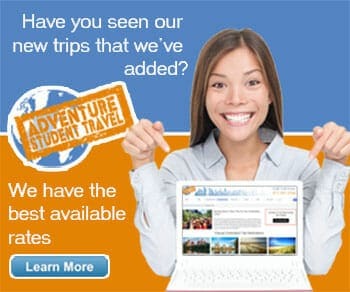 On your trip you will see Vernal and Nevada Falls, Liberty Cap, and Sierra Valley. This mostly wilderness filled trail comes with its dangers, so prepare yourself fully before attempting this trek. There is also an added danger on the last 400 feet up to the summit, with two metal cables allowing guests to climb without rock climbing gear. Once at the top you will find the most amazing scenic vistas, hear the most peaceful soundscape, and swear you could reach the clouds in the sky!